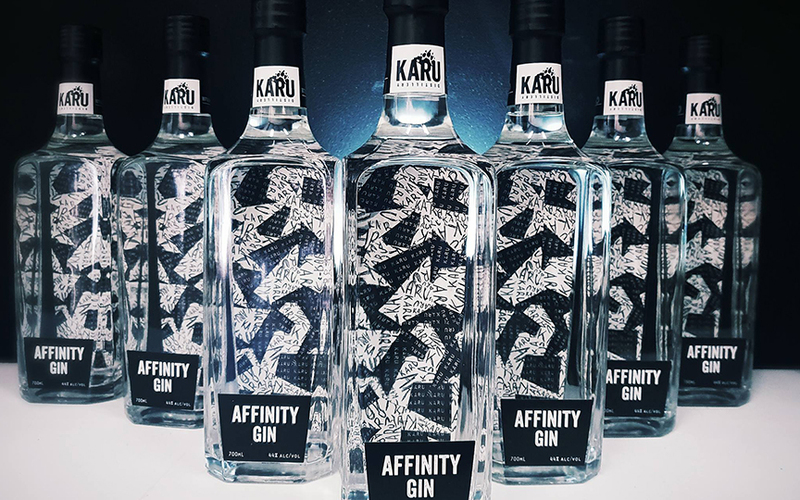 Affinity is an oh so drinkable gin, can we just get that out of the way to begin with? Featuring 11 botanicals, the interesting thing about the process Nick and Ally went through to create Affinity, is they both had to love it. Coming at it from a scientific perspective, Ally knew she and Nick would likely take different flavours out of the gin. The challenge would be in creating something for both of them. 26 rounds of recipe development, many admittedly stressful days and long conversations around the level of different botanicals in the recipe later, Affinity was finally ready to be introduced to the world. Affinity comes in at 44%, somewhat above a standard 40%. In Australia more than most countries, it’s these small details that can really indicate a distiller’s care in creating their product. The extra 4% may not seem huge, but it’s enough to add a few dollars to the cost of the bottle by the time it lands in your hands. Ally and Nick stress the ABV was the level they felt worked best for their recipe and this trade off is worth it for the right product. Another example of the care that goes into creating Affinity, is the fact all but 3 of the botanicals are sourced locally in Australia. This is no easy task, when the majority of these are sourced from many small farms, rather than 1 or two major suppliers. It’s the story of each botanical that really grabs Ally and Nick, much the same way their product and story grabs us. Sometimes in life a bit of serendipity comes into play. It was a chance late lunchbreak that found Ally watching Landline in the break room one day. 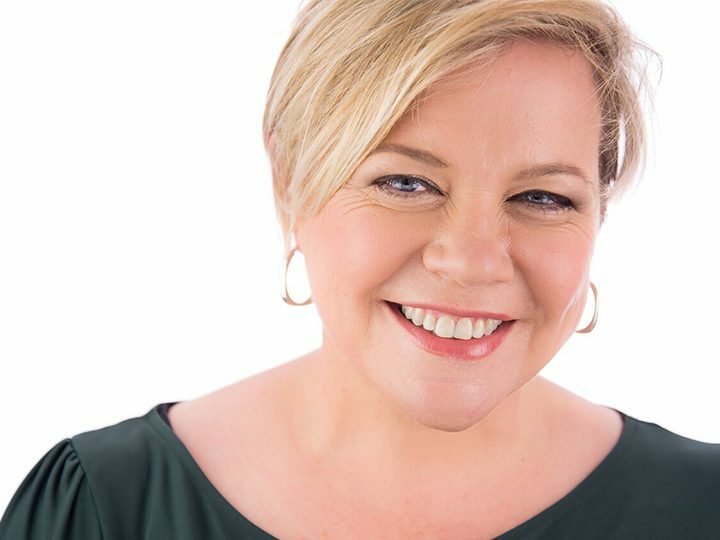 Having tried and failed to successfully grow their Rosella locally, Ally just happened to catch a piece on a Rosella farmer from Queensland that day. 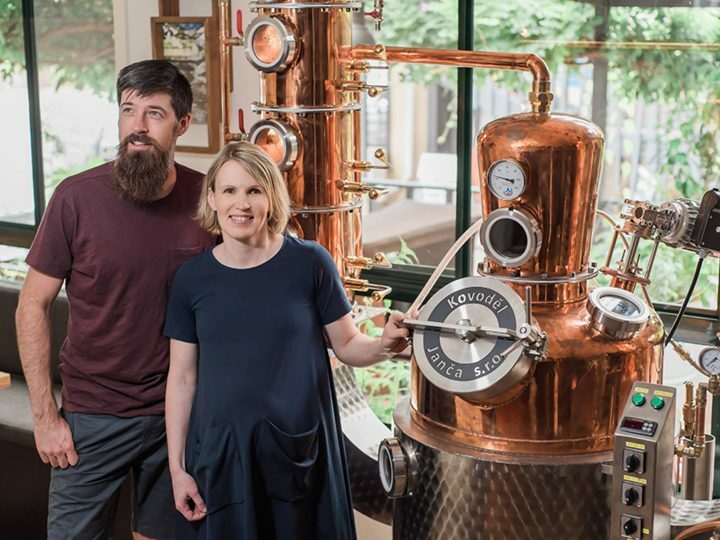 The lady who lives and breathes Rosella, is now a happy supplier for Affinity gin! But onto the gin! It’s great to see juniper here on the nose, underpinned with orange citrus and warm clove spice notes. On the palate, we found the vanilla to begin, quickly followed by juniper mixed through with spice, not peppery, but rather savoury clove and cinnamon. 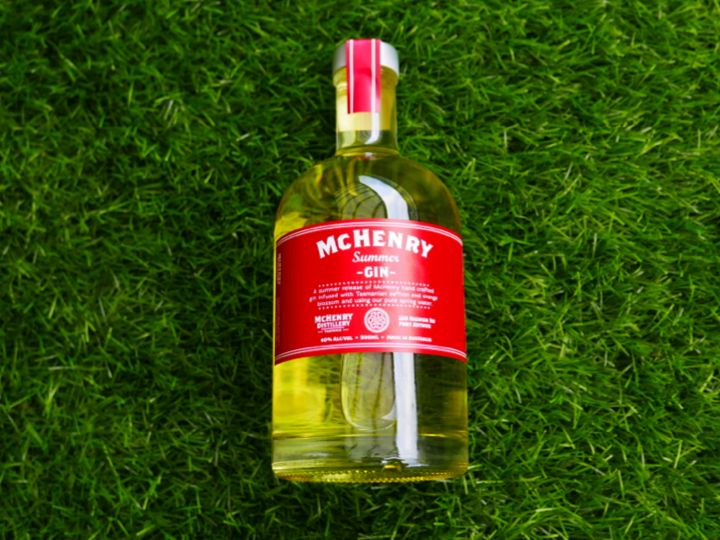 There’s something Christmasy about this gin for us. The mix of clove and juniper is nostalgic and definitely looking forward to enjoying this with Christmas pudding later in the year! 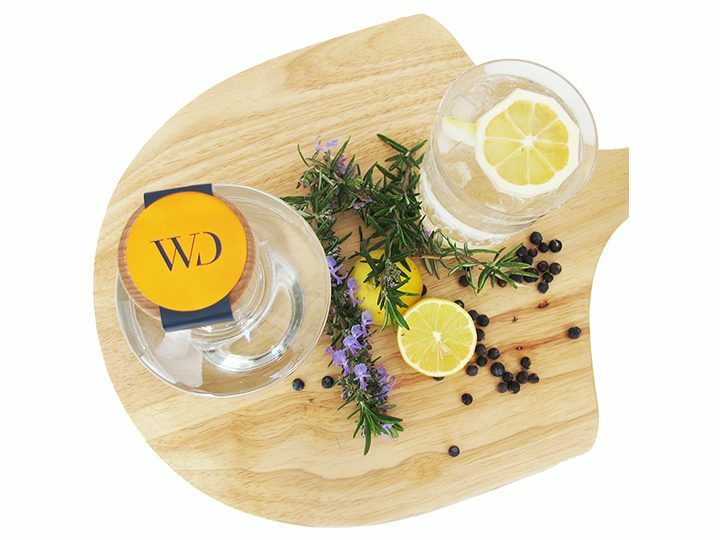 While Ally and Nick prefer sipping this gin above all else, if you’re looking to mix it, we have a few suggestions on the garnish front. Personally we think a cinnamon stick to complement that vanilla and clove will go down a treat. Don’t go overboard on the tonic, this gin is easily drowned out, stick to a nice light tonic or better yet why not try this one with soda water instead of tonic. Ally is a big fan of smoked rosemary for a garnish, along with cranberry mixer. But how to smoke rosemary? Simply put fresh rosemary in a saucepan (dry, no oil) and lightly cook it until it begins to smoke. Ally also tells us that Fentimans Grapefruit tonic can do no wrong, which sounds like a strong recommendation if you ask us! As for our cocktail recommendation this month, well this one sounded too good to pass up and comes straight from the creative mind of Ally. Add to cocktail shaker with ice, shake well, pour over ice in a tall glass. Garnish with mint.